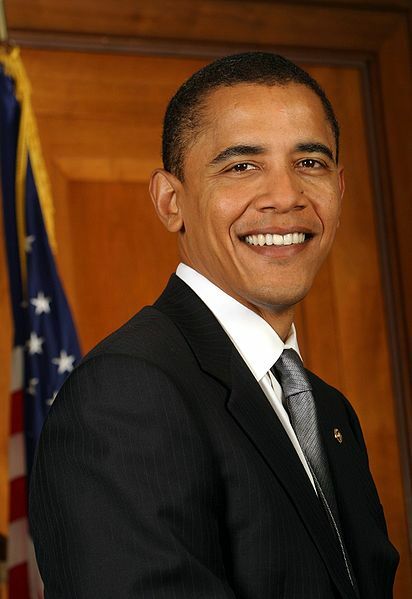 US President Barack Obama has declared himself a candidate for re-election in 2012. US President Barack Obama has declared himself a candidate for re-election in 2012, jumping ahead of a slow-starting Republican field and hoping an economic recovery will boost his case for a new term. Obama’s announcement, made through an email and video sent to supporters, set in motion a plan to tap donors and raise as much as US$1 billion which would shatter the US$750 million campaign finance record he set in 2008. Five months after his Democrats were routed by Republicans in November congressional elections, Obama looks in fairly good shape for re-election when paired against any of a group of potential Republican challengers. It is early yet. The economic recovery has picked up pace in recent weeks but could be slowed by rising petrol prices or any number of unpredictable events in the next 18 months, such as an unexpected expansion of the Libya conflict. The stubbornly high jobless rate was the leading factor in Republican victories last November and Americans weigh the state of their pocketbooks far more than anything else when they vote. The jobless rate has dropped a full percentage point to 8.8 per cent in the last five months. "If the economy does chug along the way it is now a lot of people may be more comfortable going with Obama,’’ said Peverill Squire, a political science professor at the University of Missouri. Obama became the first black US president in 2009, and scored big legislative victories when Congress approved reforms of healthcare and financial regulation laws last year. But the economy has been slow to recover from recession despite a stimulus package of more than US$800 billion. Obama’s path to re-election will depend greatly on how he fares with independent voters, who were crucial to his 2008 victory but who abandoned Democrats last November. The president has adopted a more centrist tone in recent months in response to that midterm election loss, emphasising his desire to work with both Democrats and Republicans. While the president is publicly trying to distance himself from politicking, his every move now will be viewed through a re-election prism, such as two trips he is taking this week to states that he won in 2008 and will need in 2012: Pennsylvania and Indiana.